At the dhani (desert village) of the Siddh family, their grandma rests with her sleeping grand-daughter during the afternoon heat. Like many village households that populate the rural landscape of Bikaner, this family is dependent on agriculture, cultivating crops and breeding cows to sustain their livelihood. The Siddh daughter-in-law recently gave birth to a healthy baby girl. MNDY provided her with the necessary transportation to a nearby health clinic for delivery and she also received post-delivery check-ups. Childbirth rates have increased since the initiation of MNDY in 2011. Pregnant mothers are better informed, and often opt for a safer, more sanitary delivery at a health clinic rather than at home. The men of the Siddh family. The father (in the back) works on the farm while his two sons work as tractor drivers. Bikaner, a city roughly 350 kilometers northwest of Rajasthan’s capital Jaipur, is topographically diverse, with stretches of desert, plains and hilly borders. Lying adjacent to Pakistan, Bikaner is a dust-swirling, desert district, featuring both climactic severity and limited connectivity. Bone-chilling winters sink below -3°C (26.6°F) and skin-scorching summers creep up to 51°C (123.8°F). The people survive in difficult conditions, often disconnected from the rest of the state. Along with the rest of Rajasthan, Bikaner began implementing the Free Medicine Scheme in 2011 to provide access to important medications and to help alleviate the cost of health care for its citizens. In a rural region where many exist at a subsistence level, the scheme has allowed families and individuals to focus on other issues without health care forcing them into debt. This is especially important with regard to women’s health. 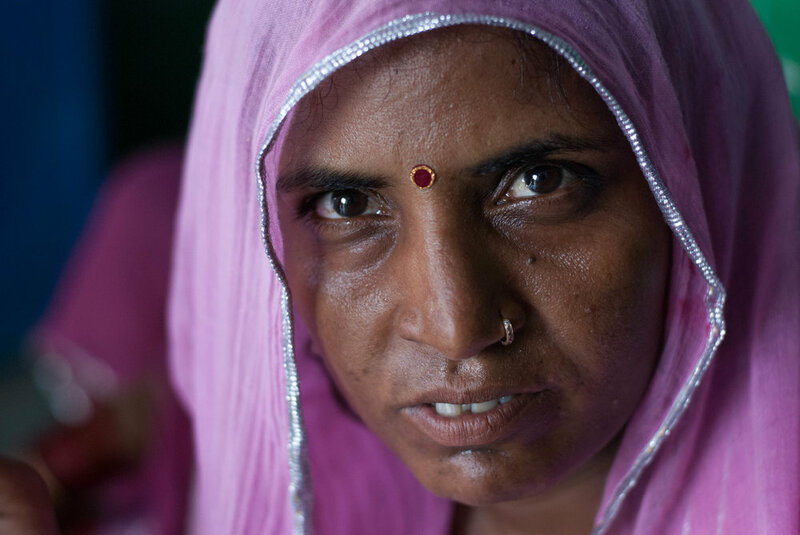 Rajasthan is one of many states in India, including Uttar Pradesh, Bihar, and Jharkhand, where a patriarchal framework continues to dominate daily life in the villages. It is one of those states where women have been victims of domestic violence after faltering at paying a dowry to their in-laws, where feticide is rampant, and where sexual harassment and violence are commonplace. Abortions, death during delivery, and multiple deliveries resulting in post-partum deaths are some of the common consequences women face in the villages because of the culture of breeding for a male child. To quote the husband of one of the patients of Dr. Naval Gupta, “Kheti bachegi toh hi bajri ugegi” (If the farm land survives, only then can we reap a harvest), is a fitting description of the predicament of women in the villages – they must live so that they can breed. These women, following traditional customs, do not eat until all the male members, elders and children in their families finish eating. Often by that time, there is hardly any food left. This means the women often mix water in the lentils, and they suffer malnutrition for most of their lives. This continues a vicious cycle, where women deliver children that are anemic, borne by anemic mothers. This cycle often proves lethal in deliveries by young mothers, some of who are hardly 23 or 24 and already delivering their third or fourth child. In the sub-center of Charkada, 27-year-old Shammo aka Suman, mother of four daughters, is willing to continue to reproduce until she gives birth to a male child, her focus being not herself but her family and most importantly her desire to be the mother who has borne a male child. Her eyes sparkle as she undergoes labor, holding onto her desire despite her feet turning yellow from a lack of hemoglobin in her body. She clenches her teeth and says, “Kuch bhi ho, maara chhoro hi chahiyo” (No matter what happens, I want a boy child). 40-year-old Chuki, mother of four girls and a boy, resisted the authority of her family and had sterilization surgery after her fifth delivery. But even in the villages, there are women who do not conform to the conventional idea of submissive motherhood and domestic life. Chuki, 40, a mother of four girls and a boy, went against her family to have sterilization surgery after conceiving for the fifth time. Clad in a bright sari and veiled to her nose, she is proud of her home, her family, of being a mother, but she also wants to see her daughter join the bureaucracy once she grows up. She might be mistaken as a meek, village woman, but the firmness in her voice belies the stereotype. She is one of the millions who wish to see all their children do well in life. Chuki’s tanned face shines bright in the sun-lit room of the Primary Health Center (PHC) in Charkada village. It is these two distinct voices from two disparate women that capture the fierce essence of Bikaner. These two utterances speak volumes about the difficult choices available to the women of the desert. A young teenage-mother is taken care of by her mother and aunt after a successful delivery. They wait in the maternity ward for the baby to return from the necessary vaccination shots, all covered by the Free Medicine Scheme. 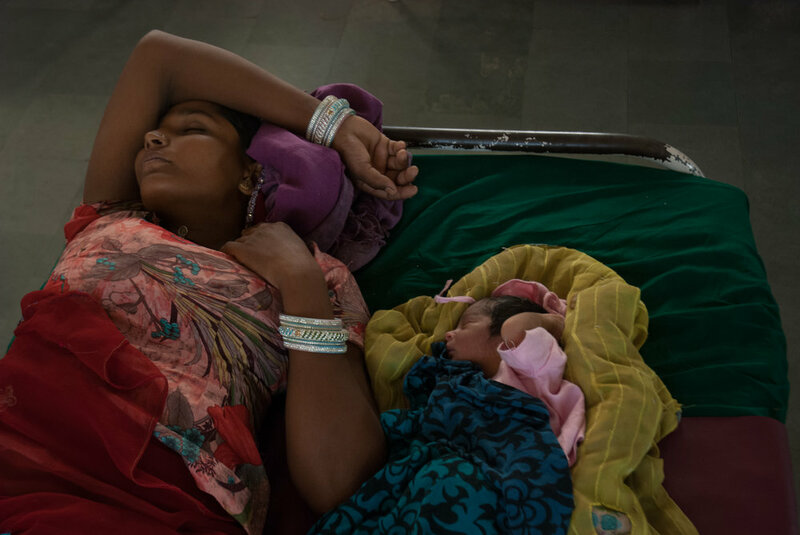 In the maternity ward, a 19-year old mother lies in bed with her daughter. With the advent of the Free Medicine Scheme in Rajasthan, its structure of subscribing to generic drugs over expensive branded drugs benefits the people both below and above the poverty line and has brought thousands of new patients into hospitals who had thus far been unable to afford the prescriptions given to them in the public health system. Through Mukhyamantri Nishulk Dava Yojana (MNDY), or the Rajasthan Free Medicine Scheme, not only the residents of Rajasthan but also patients from states like Madhya Pradesh, Punjab, Haryana and even Delhi started getting access to high quality generic drugs free of cost. Away from the grandeur of Jaipur, Bikaner appears rather sooty and pastel. The blistering heat squeezes every droplet through open pores, and the sun brings a daily reckoning. Despite all this, the Bikaner District Hospital is swarming every day with patients receiving free treatment. Unlike the popular notion of government hospitals being extremely unhygienic, it is clean and well maintained. Banners and pamphlets about the Free Medicine Scheme are used to advertise to the villagers, drawing in more people and make them privy to their rights. It is easy to imagine that a far-flung city, and its surrounding villages, would struggle with the plethora of compliances laid down by the government authorities in order to operate the Free Medicine Scheme successfully. conditions – Bikaner surpassed all expectations, becoming one of the best performing districts in the state. Through regular communication with doctors prescribing drugs that are at risk of expiring and by regularly transferring out excess drugs to other districts, Bikaner became the first district in the state to have no expiry of medicines. Patients crowd around a single drug-distribution window with their prescriptions to collect their free medications at the Community Health Center (CHC), Nokah. Ramrati, a student in the eleventh grade, was recently admitted to the hospital. She complained of vomiting and diarrhea, which is a very common seasonal disease in Bikaner given its very low rainfall and lack of access to potable water. Villagers often have to rely on raw, unpurified water from the canals, resulting in diarrhea, vomiting, stomach infections and other diseases which, if ignored, might be lethal. Her mother Anmol confesses, “Karza lena padta, Sir, hum itne paise nahi de paate.” (We would have run into debt, we would not have been able to pay so much). Anmol’s attire, a simple cotton sari, and Ramrati’s dull skin convey much of their economic instability. 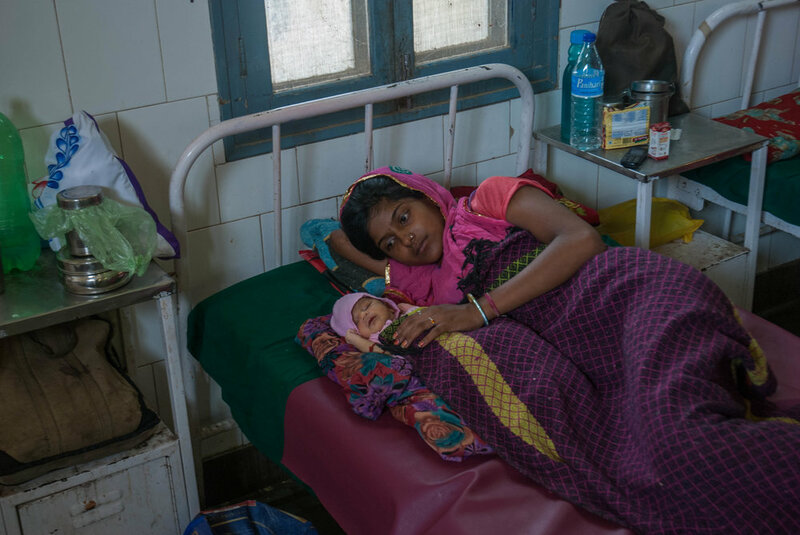 Ramrati’s father, a daily-wage laborer, earns 5000 INR ($76) per month, and Anmol says, with conviction, that the cost of treatment from any private hospital would have been three times more than her husband’s entire monthly earning. A major battle which the hospitals fight regularly in Bikaner is against anemia. Due to the infertility of the land, there is a scarcity of green vegetables, a major source of iron. With the introduction of the Free Medicine Scheme, and another program, named Mission Against Anemia (MAA), doctors are able to tackle this silent disease that affects many women and is transmitted to their newborns. 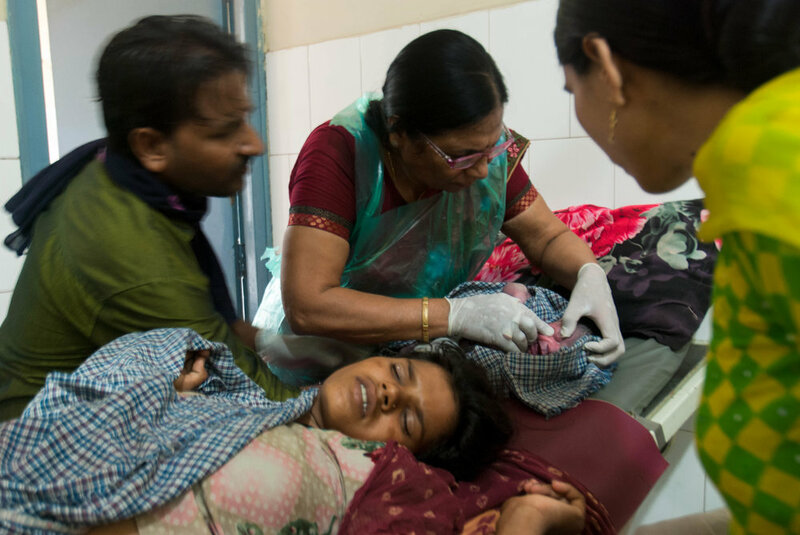 Through this Scheme, women who initially avoided coming to the hospitals to save money – because women’s health is not a priority when apportioning household income – started taking iron-sucrose injections, oral iron supplements and other forms of treatment to ensure they remain healthy, especially through the course of their pregnancies. Medical patients crowd into a room, waiting to be called to retrieve their blood test results at the District Hospital, Bikaner. Iron-deficiency anemia is a common phenomenon among women in Bikaner. Due to the infertility of the land, there is a scarcity of green vegetables, a major source of iron. Meenaxi, 38, was at the hospital undergoing a blood transfusion to treat her anemia in the Community Health Center (CHC). Despite coming from a fairly high-income background and being well-educated, when asked if she takes oral iron supplement on a regular basis, she timidly replied “Nahi” (No). In the maternity ward, there are a number of young mothers who are highly anemic. This has led to premature births and underweight babies. One mother is 19, sitting with her daughter who is just 20 hours old. The baby is frail with a lifeless look in her eyes. The doctors provide counseling sessions to these young mothers on health, breast-feeding and hygiene. A young mother has her health condition checked before her delivery, due in a few hours. 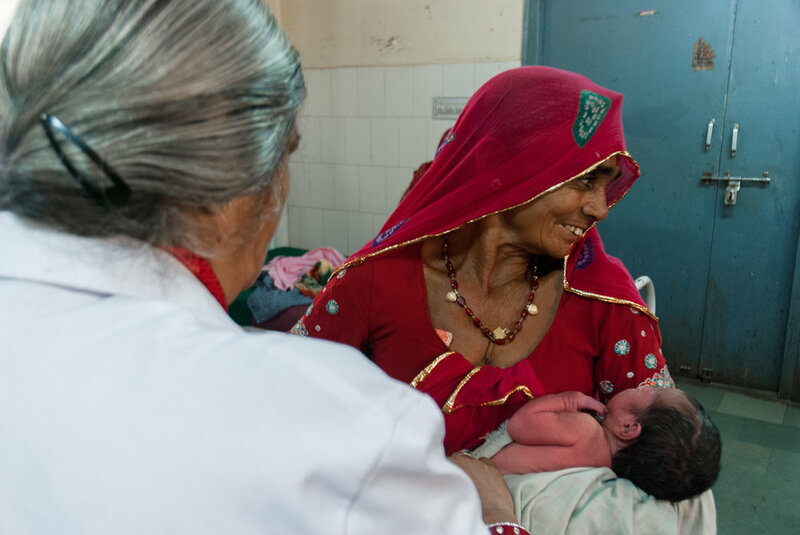 A gynecologist at the CHC in Nokha checks a newborn baby for signs of anemia. Signs of jaundice are checked for in the infant’s sclera, which turns a yellow color if positive. A newborn from a breech delivery cries out for his first breath of air. Breech deliveries can be fatal for children not born with medical care. New mothers receive information on how to care for their newborns from the nursing staff. 177 km from the district headquarters, they use a drug distribution 4x4 vehicle, which brings well-preserved supplies to each and every hospital of the district in time to help affected patients. treatment; before, their lives were often neglected. monthly earnings of 8000 INR ($120) would not have been able to cover. Also in the pediatric ward is four-year-old Jameel, from the village of Uggal, waiting for his blood transfusion. He suffers from Thalassemia, a chronic blood ailment that requires the patient to undergo blood transfusions every 21 to 28 days. Jameel’s elder brother suffers from the same disease. 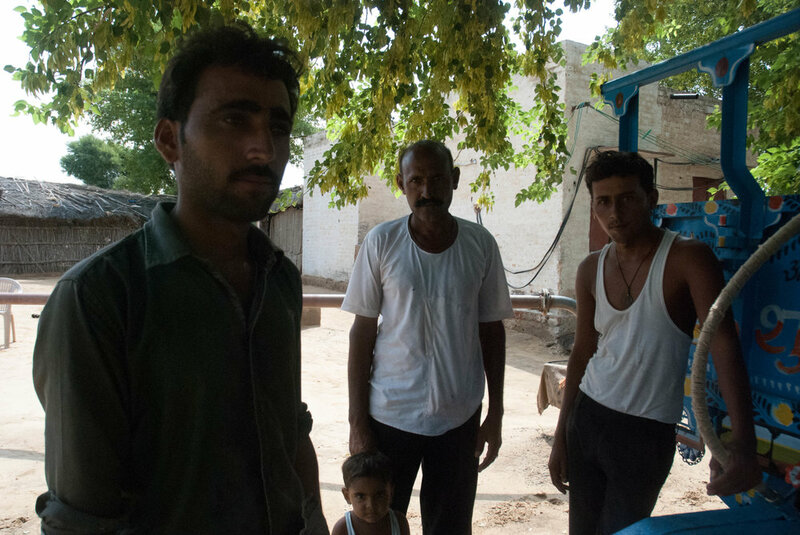 Jameel’s father, Mukhtiar Ali, a vegetable vendor, feels grateful for the access to free medications since his sons have been receiving treatment for three and a half and eight years respectively. 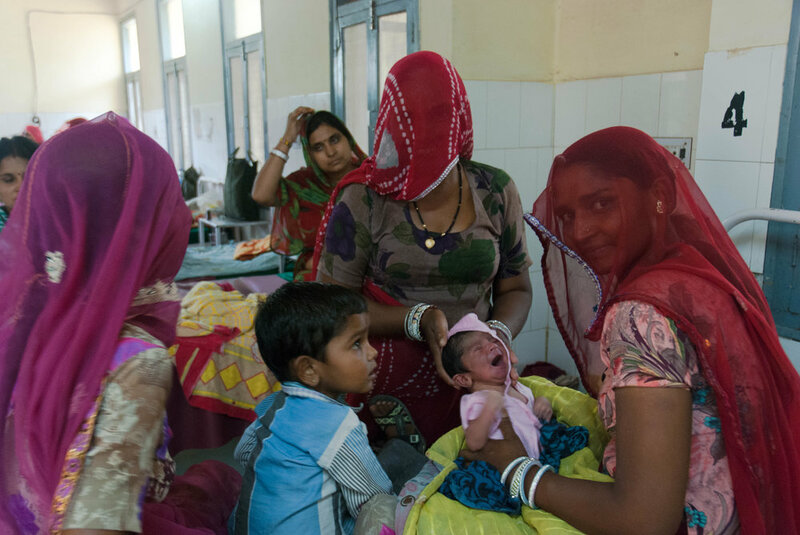 The monthly recurring cost of treatment for two children would have been 14000 INR ($210) in any private hospital, an insurmountable amount for many of the citizens of Rajasthan. Scheme has made people more aware of mental illness as an illness, resulting in 200 to 300 outpatients visiting the hospital daily. He said that there is still work to be done on the urban populations, since they tend to stigmatize mental illness and do not get appropriate help. With the Medicine Scheme playing a major role, and dissemination of awareness and proper counseling sessions, teenagers from various economic backgrounds suffering depression and anxiety and other mental illnesses increasingly seek the assistance of the public health center. In addition to the benefits for women and the many others in Rajasthan, the Scheme is also available to those living in other states. Nineteen-year-old Satyendra Baba, a mahatma currently serving the ashrama of Swami Adgadanand Ji Maharaj, was admitted to the hospital after suffering from malaria. His attendant unfolds the rewards of the Scheme, stating how convenient it was for them to receive treatment free of cost despite living in another state. Baba had come to Rajasthan from Madhya Pradesh eight months earlier. His flawless, tawny skin reflects his ascetic life; the beads around his neck speak volumes about his spirituality. Eight hundred and ten kilometers away from his hometown, Baba is now taken care of by the medical staff of Bikaner who do not discriminate based on where he lives. Doctors' offices are often crowded with patients, both locals of Bikaner and those who have traveled across states, who come in search for free diagnosis and medical treatment. they have created this space for anyone to anonymously leave a child on the cot. It has an alarm that starts beeping two minutes after feeling the pressure of the child. In this way, the hospital is not only saving lives but also creating a provision for the adoption of unwanted babies. The “palna-graha”, which literally translates to “the home for nurturing”, stands as a metaphor symbolizing the surrogate mother for abandoned children. Through the materialization of the Free Medicine Scheme, it is not only free medicines but also other socio-economic aspects that are having an impact on Bikaner and the whole state of Rajasthan.